Home » Blogging Tips » Find out how many visitors have visited your blog? Find out how many visitors have visited your blog? Any blogger starting a blog will be eager to know the actual number of visitors visited each day. If he really knows that his traffic gets increased day by day he will feel encouraged with this work. Here let’s see few of such ways to find out the traffic of a particular site. Hit counter is a coding that you must add it to your web page. This will counts how many times the website has been visited. There are numerous ways to implement this tool. You can either install free or paid version. This is one of the widely used hit counter to track the website/blogs/ WordPress forums with simple two line codes. You do not have to pay for various number of features like Configurable counter which shows the website’s visible and hidden visible counters, recent visitor activity in your web site, Internet service provider’s status and Visitor operating system stats, visitor browser stats, etc. This is just the same as the above with extra number of features. It provides its members with full real time statistics of blog or website. Unlimited traffic stats retention up to ten years. This is also a free to use and simple site for hit counter. It allows to easily embed the codes to your website or blog. Additional feature is you can also export the files or reports to CSV, HTML, XML, Excel formats. 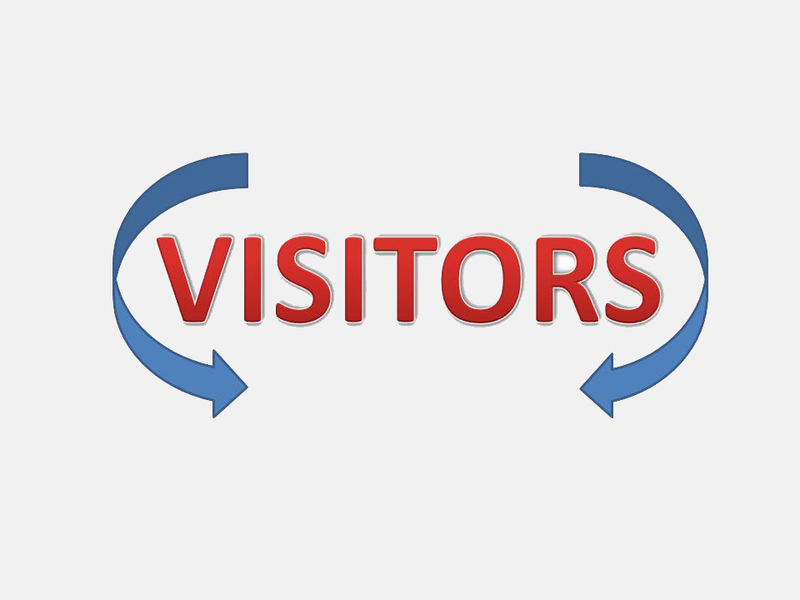 This site allows you to watch the real time behavior of your visitor. Some additional features provided by the motigo.com is that they provide unlimited history, Geographical analytics, heat map, and easy to install code. The search engine giant Google provides this tool. To install this you must have Google account. This provides you with more information about the visitors like their location, browser, loyalty, etc. Initially you need to sign up with Google Analytics, and give some basic information about the site you like to monitor. Google produce a tracking code which you can use it in your blog to know the status of the visits. (Remember you can check these details only after signing in into your Gmail Account). This is one of the most reputed and trusted site for checking the actual traffic. Nowadays, a site’s quality is decided by checking its Alexa rank. Just type the site you want to look for, it will provide you with all the valuable details about your site. But the only problem here is the search results are shown only for the sites that has at least meager publicity. Google Trends is another tool just as similar as Alexa. This does not provide results in numbers (ie) it does not provide number of visitors. Instead of that, it provides graphical values about the daily visitors to your blog. This tool will be quite useful for comparing side-by-side. The same downside as the above is it does not show up the sites that does not have popularity. Information about your site can be seen only if your site is popular with huge traffic. This is a neat tool that allows you to check the number of RSS subscribers that a website gets. It works same as Alexa which compares the web traffics. But here, instead of that RSS feeds subscriber counts. Feedcompare.com supports comparison up to four websites or blogs and you can also generate a chart as a 24 months view. When you move your cursor over the horizontal chart, you are able to see all sites total subscribers at any time. At last, the Final word is, every figure is the best guess unless or until the owner of the website reveals that how much of traffic he has. But however, they are good to know about your status approximately and compare yourself with others. Attention Meter which offers traffic graphs from the websites like Alexa, Compete, Quantcast, etc. on same page. Glad you like this post. Don’t forget to join my newsletter to get latest updates directly through your inbox. Sharing is Caring. So, do share this post and make it useful to others. WOW really wonderful list of tracking tools for the blogs and I’m unaware of most of the tools listed. Yes it’s a wonderful list to share with you. Like you, most of the bloggers and newbie bloggers are unaware about this. That’s why i shared this here. Glad you like this tools, thanks for stopping by. Keep coming samir. Hi Nirmal, Thanks for the great stuff. Hit Counter is one of the awesome third-party site to monitor webiste/blog visitor. This also helps to identify fake clicks on Google Adsense Ads by tracking IP Address. This is really cool. Thanks for your appreciation. Yes i agree with you, Hit Counter is a best tool to track our blog activities. There are some tools available better than the hit counter. Nowadays, most of the tracking tools comes with tracking of google adsense. Thanks for made a comment here. Keep coming man. Nice post. I think Google analytics is the best one when it comes to tracing your customers. It provides very detail information about the visitors. Thanks for stopping by. Google Analytics is best one to track our blog/websites, but it’s difficult to update their websites or blog for newbie bloggers. If we goes to sites like histats and hits counter its eas to implement the coding. Keep coming Tanveer. Have a nice day. Yes, people use a lot of tools and plugins to find out who all visited their blogs, but there are pros and cons to using those too. For example, some people shy away from visiting blogs that have the statcounter or those that show which city you reside in, while others might make your blog heavy, and if you have them, you keep checking or get obsessed with them. The best is Google Analytic as that gives you the correct picture of everything, whether the visitors and what region they are from, their gender, and all such details. BTW – The commentluv plugin isn’t working presently. Thanks for your appreciation. Yes there are lot of tools and plugins to check the stats of our blog. Every tools and plugin have its own pros & cons. Among all other tools, Google Analytics is one of the best tool to use. The main reason behind this is, it’s a product of tech giant “Google”. You too have a happy weekend mam. Keep coming. For me, Google Analytics and AWstats are pretty good. In some way, AWstats works better since it is calculated from the server end. It’s great to see you here man. Glad you like this post. Yes, i agree with you Google Analytics is best one to analyse our blog traffic all around. But i didn’t hear about AWstats. Anyway thanks for made a comment here. Keep coming. hi Nirmal, thanks for sharing such a nice article. it will be helpful for me! Curiosity to know the amount of traffic on your blog is obvious. You do a lot of hard work and obviously want to know if you are doing right or just wasting your time. But it is a widely given advice that you should not over-involved in just finding how much traffic you have on a given time. This habit will distract you from your regularly blogging chores. Traffic increases gradually if you consistently blog. But it does not mean you forget about traffic and just keep doing other blogging work. You must be fully conscious of it but should examine progress in number of visitors at a regular interval. Yes it is an impressive way to show your readers how many visitors you are getting on your blog. But it will work when you have huge number of traffic. Be sure when you have huge number of traffic you will be focusing more to provide them value and retain them instead of just counting their numbers as most enthusiastic newbie bloggers do. Thanks again for letting me some wonderful ways to know the amount of traffic on my blog. I am already using Google Analytics but now will use Stats Counter as well. Thanks a lot. Yes indeed, every blogger interested in knowing the traffic of their blog. Often involved in checking the stats of blog is really waste of time. Consistent blogging leads to grow traffic and we can also earn some decent amount. Checking the stats of blog at regular interval is the best way to manage you said, i totally agree with you. Glad you like this post. Google Analytics is the best and free tool to analyse our blog stats according to me. Anyway thanks for coming here. Keep coming Muba. Have a happy weekend. Recently, I have found out that one of the task we bloggers do everyday is checking to see our stats counts. While it is true and very good to monitor the traffic flow of your blog, but doing it every now and then may also cause you some unnecessary headache. Now, I have resolved to check my stats twice a week and see what it is going on. And also have found out that among all traffic stats tools, Google analytics is still the best and one will should always use. Thanks Nirmal, and do have a great a day. Tracking the blog stats is one of the important task for every bloggers. We can’t avoid this as a blogger. Yes, i agree with you, Google Analytics is always one of the best tool to monitor our site. Anyway thanks for sharing your comment here. You too have a great day and happy weekend. Keep coming. Yes, there should be always difference between the stats of Google Analytics and others. But i prefer Google Analytics to check the stats of our blog. Because google carries clever algorithm for search, analyse, display etc… Glad you like this post. Thanks for coming and dropping a comment here. Keep reading my blog to get latest and technical updates. Nice write up… every blogger do check their daily stat to know how to improve their traffic. Yes i agree with you, statcounter and Google Analytics are the best tool to track our blog. Glad you like this post. Thanks for coming here and happy weekend you too… Keep coming. I have used histats in the past but for now using Google Analytics and fully satisfied with it. I use to check my sites’ traffic stats once in a day to know what’s going on? Its important for every blogger to know the stats. Statcounter is the name I have heard a lot of time but never tried it personally yet. Checking the stats of blog once in a day is advisable. Some bloggers having the habit of checking their blog’s stats often, this is not a good habit for a blogger. Because it affects your process of blogging. Yes atish, it’s very important for every blogger to check their blog’s stats. Statcounter is also good to analyse our blog. Most of the bloggers are using Google Analytics to see their stats. Thanks for dropping your comment here. Keep coming. I have used statcounter for my blog site. It’s great and easy to use. But I must say that nobody is as good as Google Analytic. Google Analytic provide you a fully analyzed report of your site that no-one else do provide you. Yes i must agree with you. Google Analytics provide complete report about the stats of our blog. While compare to others, Google Analytics is always best. Glad you like this post. Thanks for coming. All of the above tools are good and best in to track traffic on site. Google analytics is one the best tool which i use and it was awesome. Thanks to share your list. I got a new reader for my blog. Welcome here. Glad you like this post. Try to use all of the above tools to equip your blog. Yes, Google Analytics is one of the recommended and most used tool for analyse the stats of blog/website. Thanks for spending time to read this post. Keep coming and get updated. It’s nice to see your comment here. Stats Counter and Histats are best to analyse the blog stats, but Google Analytics is better among these tools. There are lot of e-books and tutorials available for Google Analytics, if you have any confusion, you can better use this. Keep coming. Thanks for stopping by. Google Analytics is always best when compare to other alternatives. Like Google Analytics, tools mentioned here are somewhat better to use. Glad you like this post. Hope to see you back again. Google analytics looks to be good option, to find the users detailed information, what do you say? Your article is tremendous, can you please share some tricks to block referral spam in google analytics.